Mostly cloudy skies. Low 46F. Winds WSW at 5 to 10 mph..
MISSOULA - Police are hoping someone can help find a 14-year-old girl who ran away from home on Friday. MPD Officer Nathan Mattix is attempting to locate 14-year-old Emma Walter. 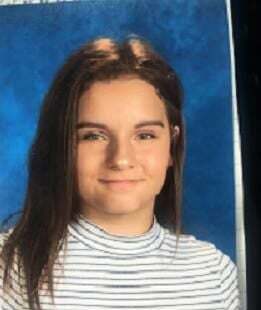 Emma was reported as a runaway from home, on Friday 4/12/19 at about 6:00 PM. She is described as a white female, approximately 5'2/130 lbs with green eyes and brown hair. Emma was last known to be wearing a red/whi jacket over a dark colored shirt, white pants and black shoes. She is also described as having scars on her forearms, and a pierced left ear. If you've seen Emma, or know where she is, please contact Officer Mattix at (406) 552-6300. *Photo provided by guardian who consented to this post.